Load cell converter provides compact format, high performance, and low price. 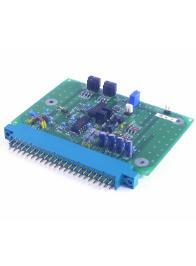 It offers a better cost-performance ratio and as a board type it is ideal for integrating into machines. The PLA-001 high functionality unit is stored in a case. Employs RFI for the front stage, and a secondary active filter of 1Hz for a low pass on the rear stage. A 10V power supply comes as standard. Zero adjustment terminals are provided for connecting an external adjustable resistor. Immediately resumes stability after power is turned on again. Warm-up time is within 3 minutes. Install it in the lowest position of a tank and it detects liquid pressure and outputs the results.